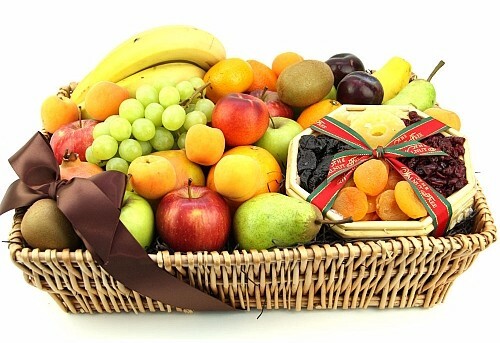 WIN #12: Wishful Delights Fruit Basket from Express Gift Service. Win a Wishful Delights Fruit Basket worth £56 from Express Gift Service. Express Gift Service is the leading online florist and sentiment gift service provider, offering the best products at an affordable price and great value. 4U Services LTD is a family run web based flower, hamper and gift delivery company set up in 2005. Their first ever website was launched with the aim to provide a one stop online sentiment and flower service provider for overseas communities to send their love and affection to their loved ones in Pakistan. Their mission is to provide their customers with excellent quality products at a fair price, all with first class service and absolute attention to detail. The company offer a fantastic range of exciting and unique gifts as well as beautiful fresh flowers for deliveries to the UK, US, Canada and Pakistan. One lucky reader/visitor of Unique Young Mum can win this fabulous fruit basket as pictured above, and detailed below worth £56. Fulfill the desire of natural fruity flavours of your loved ones with this Wishful Delights fruit basket. The basket is a complete package full of fresh and vivacious collection of assorted fruits, in a beautiful cane basket with silky ribbon. Assorted Dry Fruits - 300gm. Please note: All hampers are subject to product and seasonal availability of fruits. Fresh fruits may be substituted. NO deliveries to Channel Islands, and the Scottish Highlands due to fruits being fresh and perishable. Please note: You must at least follow/like both Unique Young Mum and Express Gift Service on at least one social media platform! To find out more about Express Gift Service and to view their other beautiful products, check out the official website here.